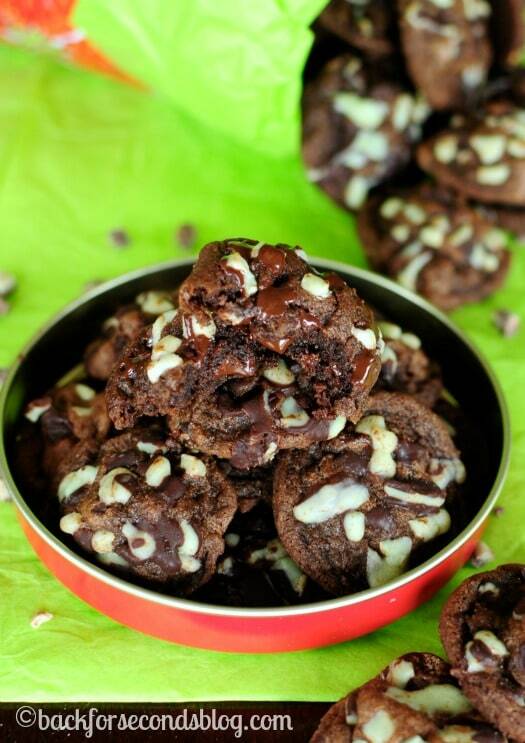 Triple Chocolate Fudge Mint Cookies are the perfect way to celebrate the Christmas season! These cookies are totally amazing, guys. 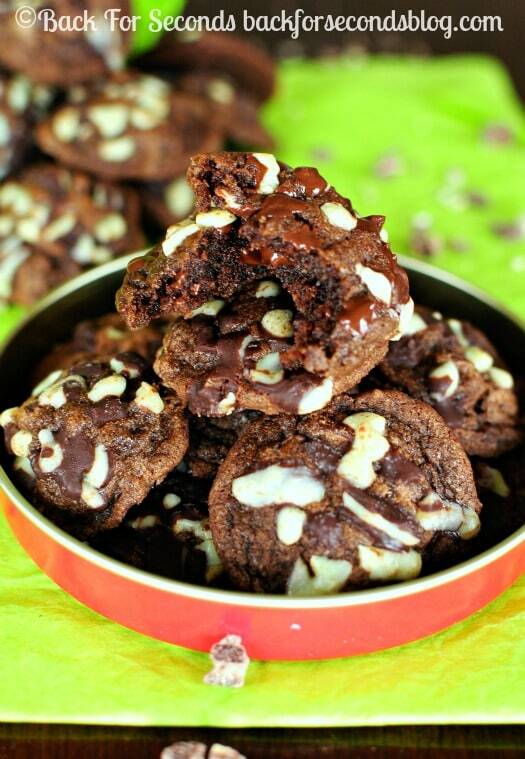 They have a fudge brownie like texture and are fully loaded with two kinds of chocolate chips and Andes mint pieces. They just scream Christmas! 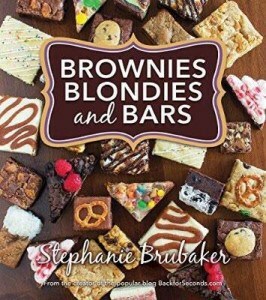 Brownies are my all time favorite dessert with cookies coming in a very close second. 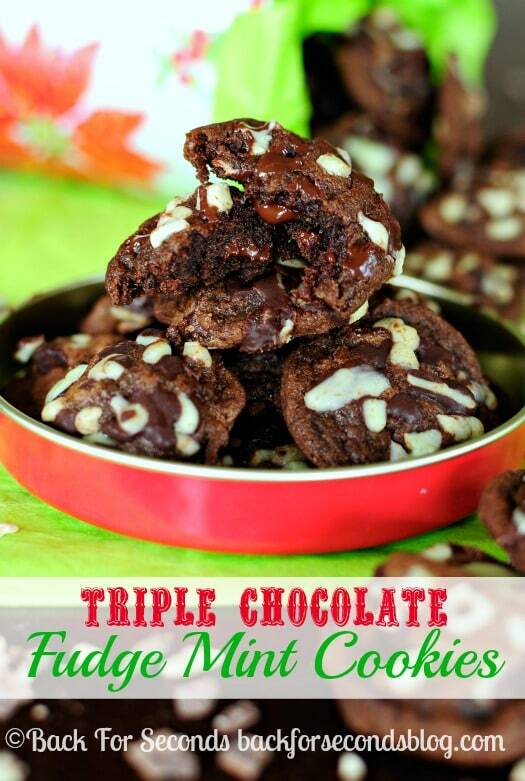 These Triple Chocolate Fudge Mint Cookies are so perfect for me because my two favorites are combined, with a bonus of mint for some holiday cheer! Chocolate and mint are an absolute must this time of year, don’t you think? These cookies are really easy to make, too. My 5 year old daughter made these with just a little help from me. She’s becoming quite the baker 😉 I baked these on a silicone baking mat and I think it really helped keep these cookies nice and thick. If you don’t have one, I would suggest refrigerating the dough for about an hour or so to help keep them nice and chubby. I love a soft,chewy, chubby cookie! 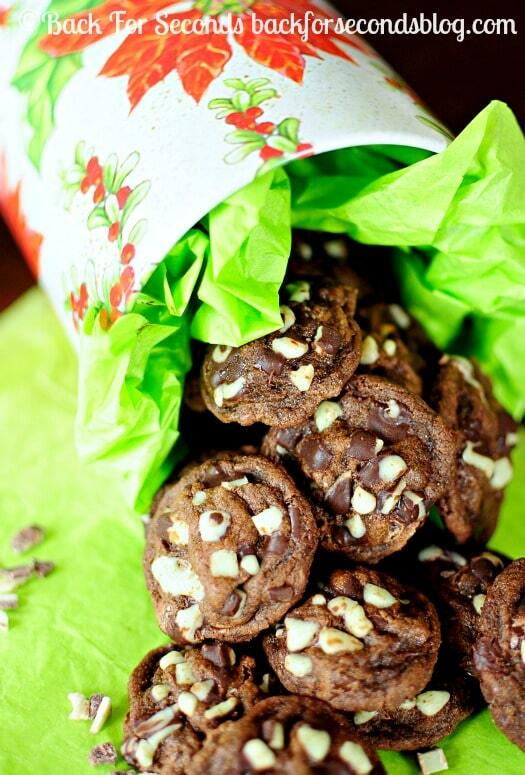 Bake these up for someone you love and spread some holiday cheer! These look awesome, how many does this recipe make? Thanks, Merry Christmas!! Thank you! It makes about 5 dozen 2″ cookies. Enjoy!